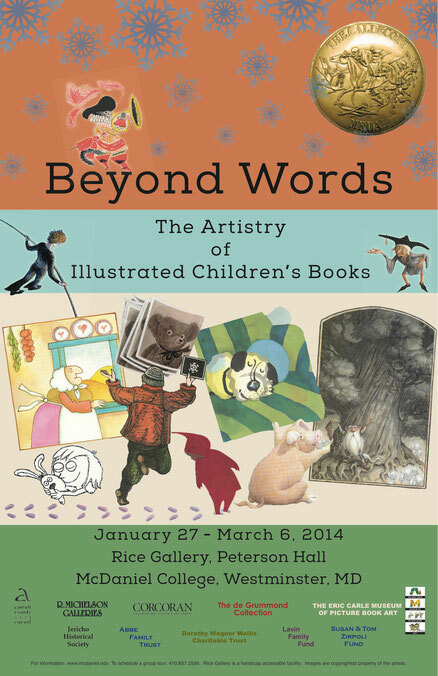 If you live in the greater Baltimore/Washington D.C. region, don't miss the creative exhibit Beyond Words: The Artistry of Illustrated Children's Books. 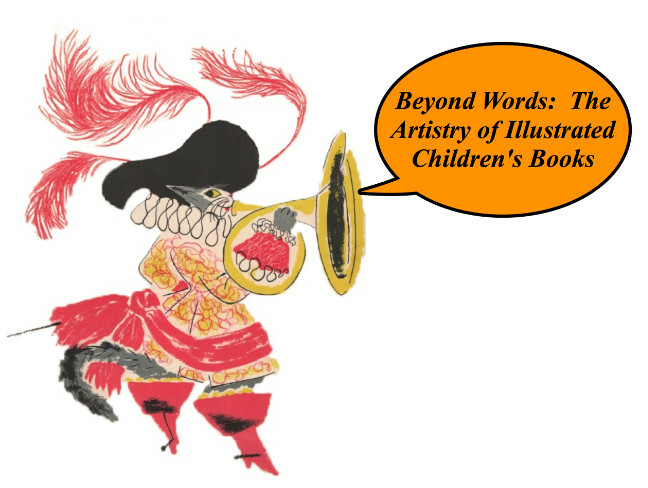 Organized by McDaniel College, in a partnership with the Corcoran College of Art + Design, the exhibit highlights work from thirty-two artists, seventeen of whom received a Caldecott Medal or Honor or both. The art ranges from the classical works of the early and mid-20th century (e.g., Marcia Brown, Hardie Gramatky, Willy Pogany) to the contemporary works of the 21st century (e.g., David Wiesner, Mo Willems, and Chris Raschka.) "As you will discover, the art's allure is surpassed only by its enduring impact." Saturday, noon – 5 p.m. The exhibition is free and open to the public. For information and to confirm gallery hours, please call 410-857-2595.